Discovering Peter Island, a private island in the British Virgin Islands, with secluded sandy beaches and over a thousand acres of unspoilt scenery. 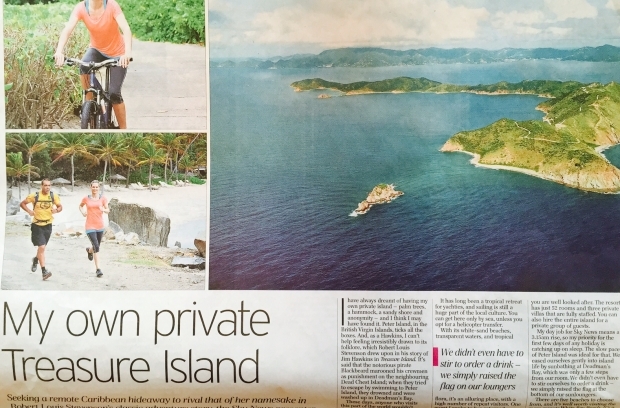 We undertook the 'Island-athlon' challenge, where you cycle, kayak and run around the island. Teaming it with a trip to Antigua, we stayed at The Inn at English Harbour, a blissful place to stopover. It was the ideal base for a trip to Shirley Heights, where every Sunday there's a steel band and plenty of rum cocktails!